Once after I gave a talk a woman came up and thanked me for making it OK to eat. Her words have haunted me ever since. I am passionate about taking the guilt and confusion out of eating. I celebrate the pleasure of eating food and all the benefits of good food brings. 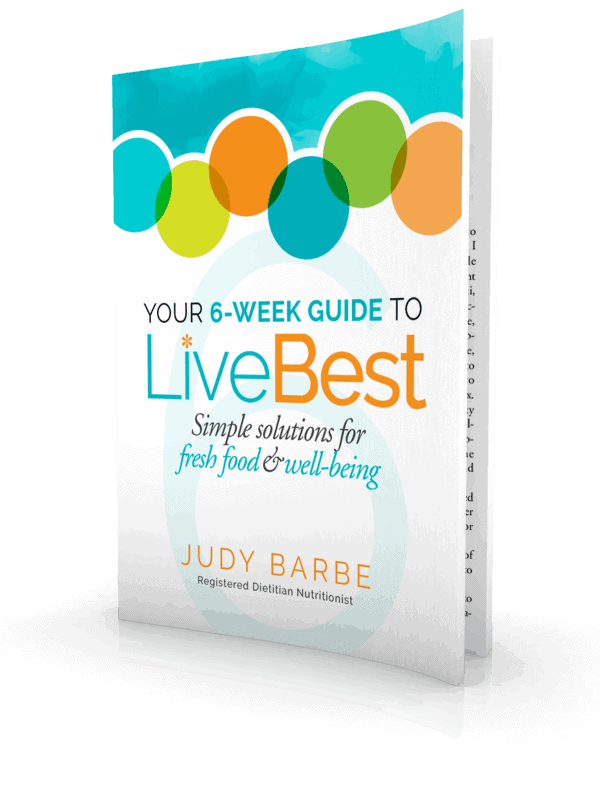 To further celebrate, through Thursday, August 6 Your 6-Week Guide to LiveBest, Simple Solutions for Fresh Food & Well-Being, is available for free e-book download from Amazon. Yep, free. If you’re inclined, leave a review on Amazon. My goal is to have at least 35 favorable Amazon reviews. Thanks! Actionable, easy, delicious. 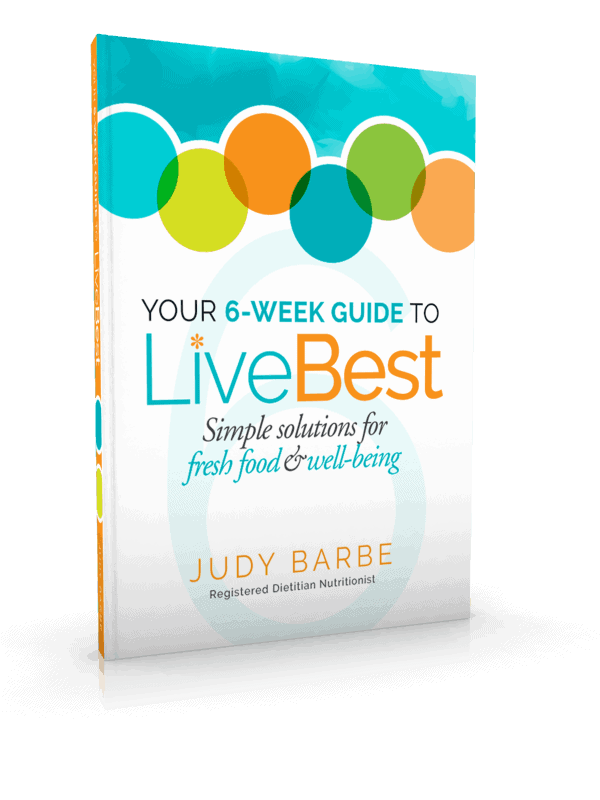 Filled with assessments, food tips, inspiration, and humor, in Your 6-Week Guide to LiveBest, there are more than 100 realistic solutions for fresh food and a reboot of habits for a stronger, healthier, and happier you. 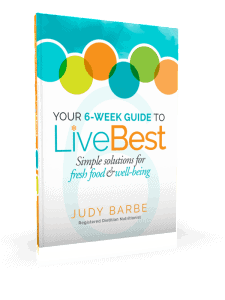 This guide is not a diet plan, but a healthful approach to eating high-quality foods, setting up your environment to eat better mindlessly, moving, and sleeping to nudge you in the right direction to feed your soul, heart, muscles, bones, and well-being. 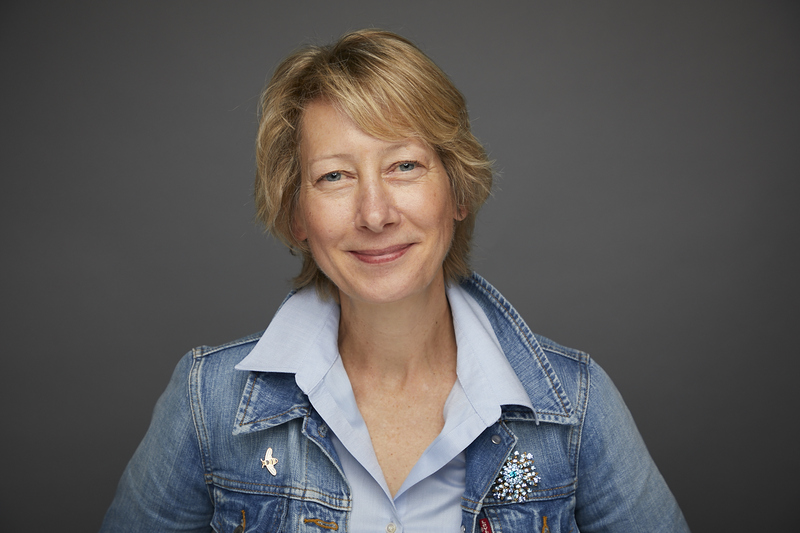 Many are using my book in worksite wellness, adult classes, and corporate settings. Available in hard copy and e-book. Here’s to a healthier, stronger, happier you!